Uh oh, What shall you do when your computer gets hacked? Stories about online hacking incidents are not new in our world today. We have witnessed some earth-shuddering hacking incidents to some big corporations. 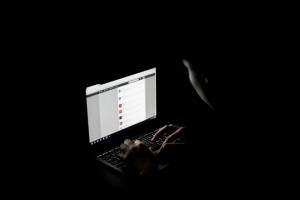 Besides these incredible hacks into big companies, there have been cases of hacking into personal accounts of individuals and sometimes inappropriate content such as photos gets leaked for the entire world to see. There is, therefore, a need for people to stay on guard. When you notice strange activity on your account, emails or social media platforms, you have probable cause to assume that you have fallen victim of hacking. If this is the case, you must consequently take measures to protect yourself. All essential services and accounts had better be secured using strong passwords. The passwords should be unique for each account and should be changed at least every six months. Of course, this may mean that one has to remember many passwords which may naturally overwhelm the human mind. Using a password manager has its pros and cons. On the beneficial side, a good password manager will help create strong passwords for every account and service. Nonetheless, this presents a single point of vulnerability which once broken into may jeopardize all your accounts. On the bright side though, app developers have been making tremendous improvements to existing password managers. It is also better to modify your password from a one-word phrase into an extended sentence. This makes your password very long and thus harder to crack. Some sensitive information should not be stored online. With the advent of cloud storage, many people are storing lots of data online. When such an account is compromised, the damage that results could be unimaginable. Storing such data as financial data, personal info including social security numbers and other sensitive information is best done offline. It is additionally unwise to keep a saved document containing all your passwords in one place and if you must, be sure to use encryption.